You wont be pressured to buy. Looking and trying is part of the process and we are happy to help you through that. Life is busy so sometimes finding time in the week is hard. Book an appointment at weekends and evenings. Get your dream dress for your budget. No hussle and bussle of a busy shop. Just you and dresses. I visited Julia today with my two daughters after only contacting her a few days ago. It was the first place I have tried and I can only say how fantastic the whole experience was. I tried on several dresses and Julia made me feel at ease throughout. I am very pleased to say that I found the perfect dress which was stunning. I cannot recommend Julia's Bridal highly enough! Thank you! This lady is amazing! First class service, makes you feel so welcome and gives you as much advice and help as you need. Also the prices are amazing. For me she has been a life saver and I am totally thankful for that. 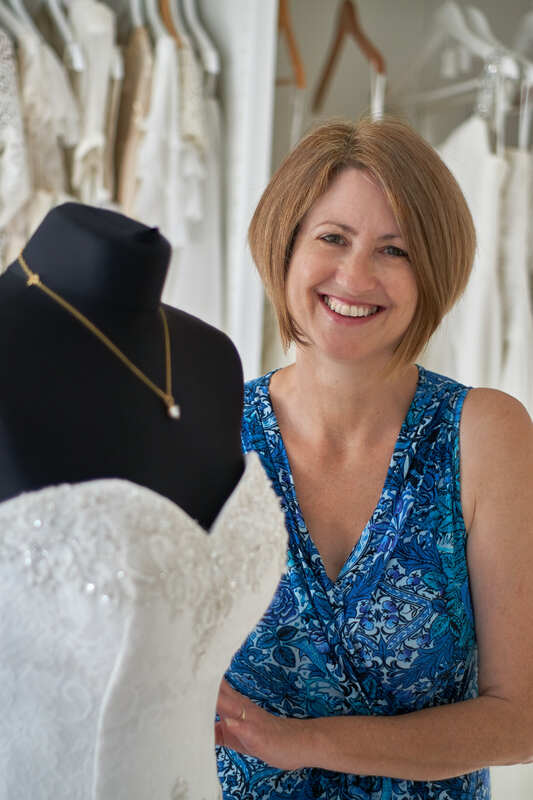 I totally recommend Julia for your wedding dress needs all types of styles to choose from Top class. I love my job and feel its such a privilege to share in the excitement of finding that special dress! If you are a nervous bride, please dont be. As soon as you enter my studio you will feel relaxed and certainly never pressured into a purchase. I stock ex-sample and preloved dresses with sizes ranging from 6 to 26 and the best bit is, prices start from £150!